I won’t share either of these person’s names, both are good children of God. What I’m sharing with you is the dynamic. The dynamic is that, once again, the United Methodist Church has been in the news. Once again, the news has been about homosexuality. And once again, somebody is leaving Northaven Church. I’d been praying for a week over exactly what I needed to write about this. I was gonna write about Frank Schaefer and the trial. But many other beautiful essays have been written about it already. O man, he speaks God’s truth here. Yep. More and more it’s hard to see how we United Methodist elders are not simply modern-day Priests and Levites. As I said, you should read the whole essay. I don’t know what else I could add about Frank Schaefer or the trial. So, as I said, I won’t. But when I got this email, this weekend, I knew I wanted to write about the dynamic. You see, I’ve gotten letters like this before. Most memorably, I got them after the 2004 and 2008 General Conference. I get them pretty much every time the United Methodist Church makes “news” over issues related to LGBT persons and the Church. The dynamic is that faithful Christians –both LGBT and straight– decide that they can no longer affiliate with the United Methodist Church. I would estimate that here at Northaven, we may have lost as many as 100 members during my tenure because of this dynamic. (1a) Now and then, somebody will write me a letter like this, letting me know of the moral stand they are taking. But more often than not, folks simply fade away. They don’t have a personal need to change the organization, or to “guilt us” over their leaving. They just have the desire to be faithful their own inner core and the leading of God’s Spirit. They believe there is “spiritual violence” being done here against LGBT persons, and they no longer wish to be a part of that. So, they just “leave.” They silently fade away. Like choosing Costco over Sams, like choosing to shop on “Small Business Saturday” insteat “Black Friday,” they are making a moral choice about who they are and what they are willing to support with their prayers, presence, gifts, service and witness. As such, I have never been able to “judge” people who make this kind of decision. It breaks my heart, though. Every single time it happens, it re-breaks my heart. My heart’s been broken so many times now, I’m sometimes amazed it still beats at all. But, look, how can I judge somebody who’s thoughtfully come to this conclusion? Good Lord, the whole problem starts with excessive and unnecessary judgmentalism in the first place! Why would I ever pile on? But I grieve. And I cry. And then, I pick myself up, and with trembling knees and shaking hands, re-examine again the reason why I stay. But my answer has always been something like…. I stay because, even with those who’ve left, every now and then we have folks who come back! Thanks be to God for the, far too rare times, when someone is on the verge of leaving, or does, only to return to the Church at some later time. What a witness to their faith that is! I have always said that there are dozens of different moral places to stand in the struggle for the full inclusion of LGBT persons in the Church of Jesus Christ. Some stand as “insiders,” trying to change a system from within. Some stand as “outsiders,” raging against the machine. Some lead by their quiet example. It was the same in the time during the 1960s and the Civil Rights struggle. Some folks took more activist roles, were arrested, and pushed against the machinery of government. Others changed hearts and minds quietly by how they lived each and every day. Some worked to craft legislation and push the government itself. As with Civil Rights, it takes people standing in all sorts of positions in order to effect change on LGBT acceptance in the Church of Jesus Christ. There are many faithful places to stand, and all those places are making a difference. I stand as an “insider,” for now. I stand as a life-long United Methodist who still has the idealistic faith that our denomination can be redeemed, and that there is some social good in not simply abandoning our institutions, but redeeming them. I stand because I know that this is the true heritage of who we are as United Methodists. In the long view, this is a working of God’s Holy Spirit, and once God’s Holy Spirit has moved the hearts of all God’s children, our institutions must be there to serve all of them. We must fight to bring our institutions along, even when they come kicking and screaming. The point here today, in this blog, is to count the cost of this heartbreaking dynamic. We who remain as “insiders” –where ever we stand on the issue of LGBT inclusion– should never forget to count the costs. So, no, I cannot begrudge those who choose to leave. 2) I ask them, as they are able, to tell their stories. Within the cost of this heartbreaking dynamic are not only in LGBT persons, but also straight allies as well. They get to vote with prayers, presence, gifts, service, and witness too. Many times in the past few years, when the subject of LGBT inclusion comes up with my clergy friends, I will ask them where their own children attend church. It’s often a painful moment, and I’m sure I don’t always get an, ahem, “straight” answer. But many of my older-baby-boomer colleagues will admit that even their own children are abandoning the United Methodist Church too. Their adult children –who are no doubt Methodist to their core– are choosing to affiliate with Christian denominations (or choosing to be a “None”) that are open and inclusive; places that are not wasting time, energy, and resources standing against LGBT persons. I wrote today because didn’t want to let another email like this come to me without acknowledging the real human and spiritual costs, of our denomination’s ant-gay policies. And if you want to understand why many of us stay and fight, it’s because we know and understand that people like this man are worth fighting for, even when they choose not to say. All God’s children are worth fighting for. Friends, this is a heartbreaking dynamic. And God grieves with us, knowing that it doesn’t have to be this way. 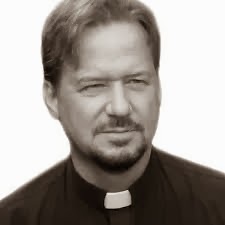 1) By the way, I cannot help but note that Frank Schaefer is also-also a singer-songwriter. He’s got some mighty fine music here. 1a) Honesty requires that I admit we’ve lost members for all sorts of other reasons too, of course; and that this is simply my ballpark guestimate. (2)I blogged about this repeatedly, especially in analyzing the rising number of the “Nones” in society today. In public opinion polls, the “None” almost always say that the word “homophobic” is of the best descriptors for the Church of Jesus Christ. I was one of those members who left over the 2004-2008 General Conferences. I simply could not stomach the unspeakable pain and betrayal. I couldn't even stomach some of the wonderful folks at Northaven who patted me on the back and said, "we just have to hang in there!" Unfairly, I thought to myself, "what do you know about hanging in there?" I was so full of rage that once again in my Lesbian life I'd heard the message, "You're not lovable the way you are. You should change". So, I quit! But, the rage didn't go away. It got worse for awhile. To show the United Methodist Church what I thought of them I walked away from the best support system I've had in my entire life! So, after wandering in the desert?? I went back to Northaven. I'm not healed, I'm healing. I'm still hurt and angry. But, I'm also so full of joy sometimes that I don't even recognize myself! The United Methodist Church can't take that away from me again. I won't let them. I stand with Eric, Mary Clair, Beth, and all the rest who care about me and my children. I went back to take my place at the table and to make sure my girls know that we've every right to do just that. Thanks for this beautiful comment, Brenda.You probably realize that I am very much talking about you in the blog when I talk about those who have come back.That decision *also* brings tears to my eyes. I am not a Christian, so I don't know all the issues involved here, and I don't have a dog in this fight, but I'd like to point out that I find it horrific that some people use certain statements in the holy book of my particular belief system to justify their bigotry. Whenever people trot out that famous line in Leviticus I want to ask them if it is ok then for me to stone them for having tattoos or eating cheeseburgers, because all that is forbidden in the text too…. I left the UMC after waiting 20 years for change that never came. I do not see positive change happening for a long time. I encourage all GLBT to leave and find a church where you are accepted as God has made you 100%. I am now an out and proud member of Midway Hills Disciple of Christ in Dallas, TX where all means all. It is wonderful to go to a church where gay people do not have to hide who they are to keep their jobs at the church. If all of the ministers and employees of the UMC that are gay and hiding under the do not ask do not tell rule left today the UMC would be in trouble. I pray that all GLBT leave the UMC and then perhaps it will change. As long as GLBT are willing to sit at the back of the church then nothing will change. My family has one foot out the door. We attend Cathedral of Hope UCC, the largest gay church in the US, and we attend FUMC Allen. We split our prayers, presence, gifts, service, and witness right down the middle. I know we would walk away from the United Methodist denomination if it weren't for the deep friendships we have there. I truly believe my family has made a big impact on how many FUMCA folks feel about homosexuality. If nothing else, I believe it has caused them to choose a side. The majority have been affirming and loving through it all. That being said, there is NOTHING in this world like worshiping God surrounded by the gay community. Our family has been welcomed, AS THE OUTSIDERS, and is dearly loved by our friends at CoH. We march in rallies and parades side by side. I am so proud of them! Some feel like my own sons and daughters, siblings, uncles and aunts. I want the United Methodist Church to come around, to stop the discrimination and hate, but I'm not sure how much longer to wait when we see things like what happened this week. It is heartbreaking. It's heartbreaking to read such letters. I left the UMC in the early 90s and did not return for two decades. Sadly, one loses out on much in two decades. I often feel like my spiritual age is about twenty rather than, um, a higher number. Still, at my age, I enjoy being in church because I'm conscious of having agency and a voice. The same was not true when I was younger and felt very marginal, voiceless, and out-classed in many church environments. There were several reasons I left, but homophobia was a big part of the problem. Politically active, I had innumerable gay friends, so I couldn't stand the thought of participating in a heterosexist setting. Moreover, my own sister is lesbian and came out when I was just fourteen or fifteen. The whole ideological framework of church seemed set up for white, middle-class, straight people, and it seemed wrong. For me, the problem wasn't in the liturgy, hymns, prayers, Bible study, and so forth. I loved the Methodist traditions. The real problems lay in the social habits and structures of the church and also, obviously, in the Book of Discipline. I'm glad to be back, but it's gut-wrenching to see how little has changed. The homophobia I've witnessed in the UMC seems to come from a place of profound ignorance. (After all these years of LGBT literature, art, theater, and political organizing, how is it that these folks have remained so jaw-droppingly ignorant?) Unfortunately, the ignorant people have power and loads of self-confidence and even more straight-white-bourgeois-male privilege. Finally, I would point out that single people, straight or gay, lie outside Methodist cultural norms. Anyone not part of a straight couple might find it hard to belong. Thus, anything, however small, that can be done to disassemble heteronormative expectations can be helpful. Powerful blog Eric!As a straight man, for years I didn't think I had "a dog in this fight". Them\n a family member, who happens to be gay, lost his life partner of 15 years to cancer. While talking to him in the middle of his grief I naively (and rather insensitively) encouraged him to find solace in church. He looked at me and said "I'm not welcome in a church" I suggested the Methodist church and he told me story of attending a church function at a Methodist church with his partner and the dirty looks and snide comments they got. (They are both highly educated, honest and productive professionals). The conversation was far deeper than I have time to go into.The bottom line is this: if a person can't turn to the church when going through challenging and painful times in their life, what does that say about the church?I feel we all are party to this issue whether we want to be or not. Almost everybody either has a family member who is gay or a friend or a coworker or a neighbor. If people were to open their minds to hear the stories of abuse and discrimination faced by the LGBT community every day it might change their hearts. We all are part of the culture that allows the jokes, the taunts, the bullying, the discrimination to be tolerated. It is up to all of us to change the cultural acceptance to indignation when the "least of our brethren" are being mistreated. Eric… As I begin, I want to express my overwhelming gratitude for your candor, reflection and willingness to share the brokenness of your own heart in the ongoing struggle for justice and equality within our own beloved denomination. Your words and the thoughts expressed by these others in reply touched my own soul to write and share some of my own experience. ~ the covenant at my confirmation, welcoming me, ALL of me, the known and the unknown, solely by my profession of faith in Jesus Christ as my Savior, Redeemer and Friend, and pledging in covenant to “faithfully participate in the ministries of the Church” with prayers, presence, gifts and service (at the time, I assume our witness was simply understood as an expression of the larger whole). ~ the covenant of support from my local congregation and District Committee on Ministry recommending me as a person with “gifts and graces” for ordained ministry. ~ the covenant at my ordination and the driving call as bishop and other other elders placed their hands on me to “take thou authority” as I sought to be in ministry recognizing ALL of God’s children as persons of sacred worth, not fully realizing even then that my own perceived struggle of identity and personhood failed to all me to acknowledge myself, my whole self, as a person of sacred worth. I believe in the God who makes covenant, who keeps covenant and who calls us into covenant with one another. However, my own heart breaks at my inability to maintain the covenant, and the willingness of others to so quickly discard covenant in the midst of life’s greatest traumas and pains of reality and self-discovery. With a charge, covenant becomes accusation, rather than an opportunity for restoration and redemption. With a vote of the uplifted hand, a ministry of 26 years and relationship of 46 years is ended and removed from record as if it never happened. I mistakenly believed that even as I was figuring out who I am as an adult and gay man and coming to terms with life events from childhood and adolescence, I could do so in the context of effective ministry, with the understanding and support of people who know me. Yet in a matter of 48 hours I would be forced out of the ministry I love by leaders who would show no love for me, no recognition of my “sacred worth,” and no effort to restore a successful, effective and sought after minister. At the time I didn’t really think of myself in any other terms other than being a United Methodist minister, so I didn’t see myself ever leaving the Church. Yet I experienced the Church leave me in the depths of despair and anguish, humiliated and irreparably harmed by the Church for forcing me out of covenant with a body in which I desired to remain in covenant. As with some of the other persons who commented, I found it too painful to try and remain around a community of people where I could not live in authenticity. Over almost 3 years now, I sought out and found other places where I could be affirmed with an open welcome. I too found Cathedral of Hope in Dallas, and wept for weeks on end in worship experience and worship experience (led by other former United Methodists as clergy) with a liturgy largely borrowed in song and holy communion for our own open table as United Methodists. I wept for what I could not have in my own home Church. I wept for what I found in the loving welcome of strangers who understood what it was to be “other” and who accepted me into a family of faith again. I have begun the process of being recognized by the United Church of Christ, where I can then once again be recognized and have full participation in ordained ministry because of what I believe and not because of who I am as an oriented child of God. I know the love and grace of my redeeming God. The call to ordained ministry in God’s Church continues to speak in affirmation to my spirit. Today, I gladly claim who I fully know myself to be as a child of God’s hope. The day will come and now draws near, by God’s faithfulness, when I will again be fully utilized by God in active pastoral ministry and leadership, perhaps even in the United Methodist Church. Like the great Church I weep for and still so dearly love, I am on the journey and going on to perfection. Thanks for sharing this long and sad story here, friend. Wonderful blog and great sensitivity to the issue. I grew-up attending Lovers Lane UMC. As a young adult I became aware of the Methodist Church’s stand on LGBT issues. I sent a letter dropping my membership around 1979. Never give up. Despite the anger, the feeling of helplessness, the hurt and the abandonment … never give up. WWJD?